KazSat-3 is a Geostationary Communications satellite operated by JSC KazSat on behalf of the Kazakh Space Agency Kazcosmos. 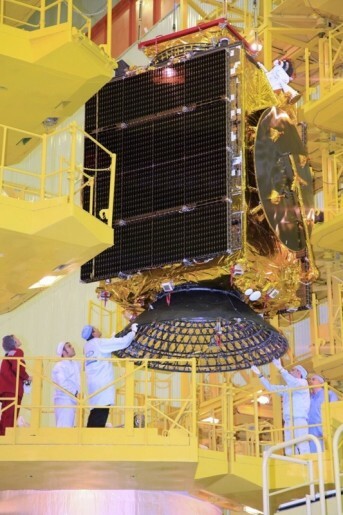 The spacecraft is based on the Express-1000NTA satellite platform featuring an all Ku-Band payload provided by Thales Alenia Space. The satellite was preceded by two previous KazSat spacecraft – KazSat-1 launched in 2006 carrying 12 Ku-Band transponders (failed in 2008) and KazSat-2 in 2011 featuring 16 Ku-Band transponders. Ekspress-1000NTA is suited for the operation of medium-capability communication payloads. It uses a reinforced load transfer structure to allow the satellite to be launched underneath another payload launching in a stacked configuration, supporting the upper passenger. KazSat-3 weighs nearly 1,900 Kilograms using two three-panel solar arrays with triple-junction Gallium-Arsenide solar cells. Propulsion is provided by several 3.5-Kilogram SPT-100 plasma thrusters that are used for orbit maintenance and attitude control maneuvers. The Stationary Plasma Thrusters provide 83 Millinewtons of thrust each. KazSat-3 is equipped with an all Ku-Band payload consisting of 28 transponders and two large reflector antennas. 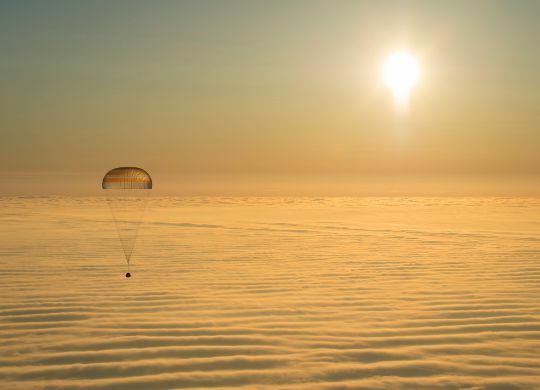 The spacecraft will provide Direct-to-Home television services, broadband services, VSAT communication services for commercial customers, and voice, data and video communication services for customers in Kazakhstan and surrounding regions. KazSat-3 will operate for 15 years stationed at an orbital position of 58.5 degrees east in Geostationary Orbit.